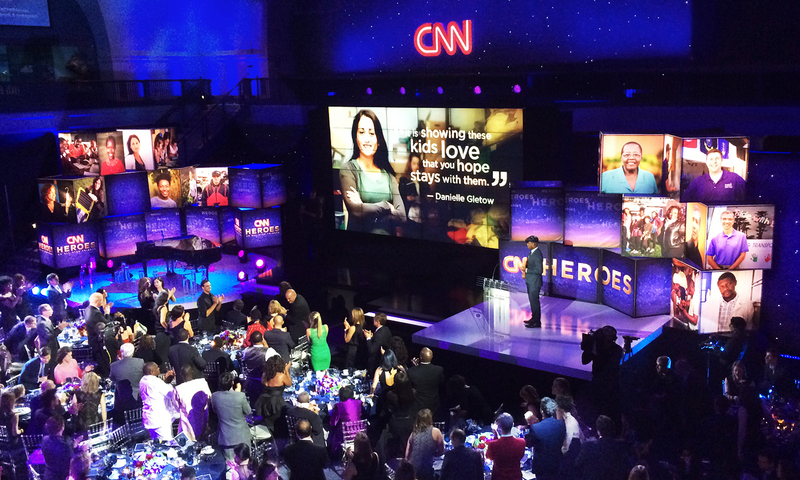 The Emmy-nominated CNN Heroes: An All-Star Tribute honored everyday people changing the world. 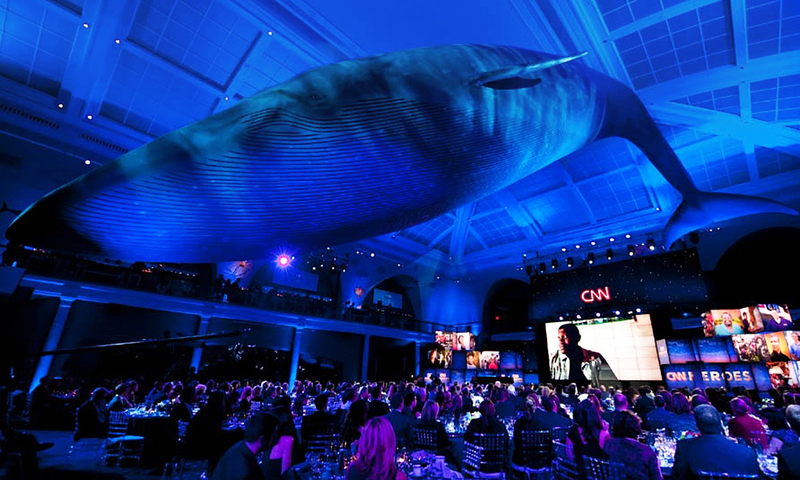 The event aired December 1, 2013, from The Museum of Natural History in New York. 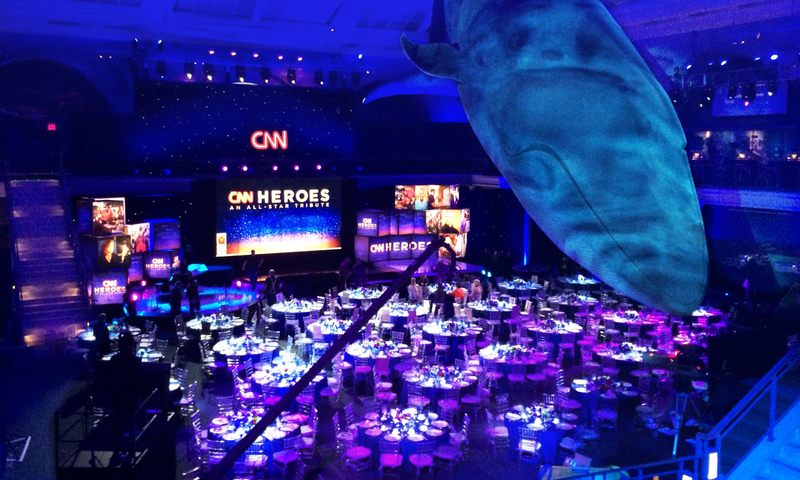 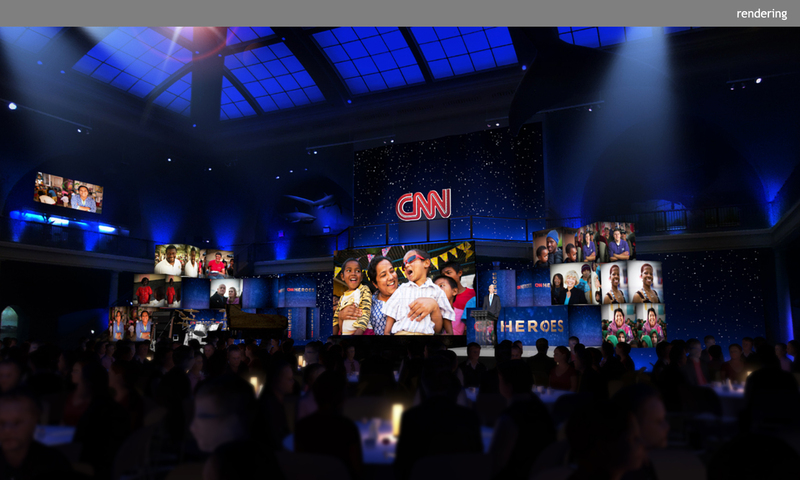 Clickspring transformed the cavernous “Whale Room” into an elegant banquet hall and stage with dramatic lighting, monitors, and lightboxes featuring the deeds of these courageous Americans.